Beach badges for Ortley Beach and Shelter Cove are now on sale, Toms River officials have announced. Seasonal badges are on sale for a pre-season rate of $35 and a $15 lifetime access card is available for seniors (must show proof of age). 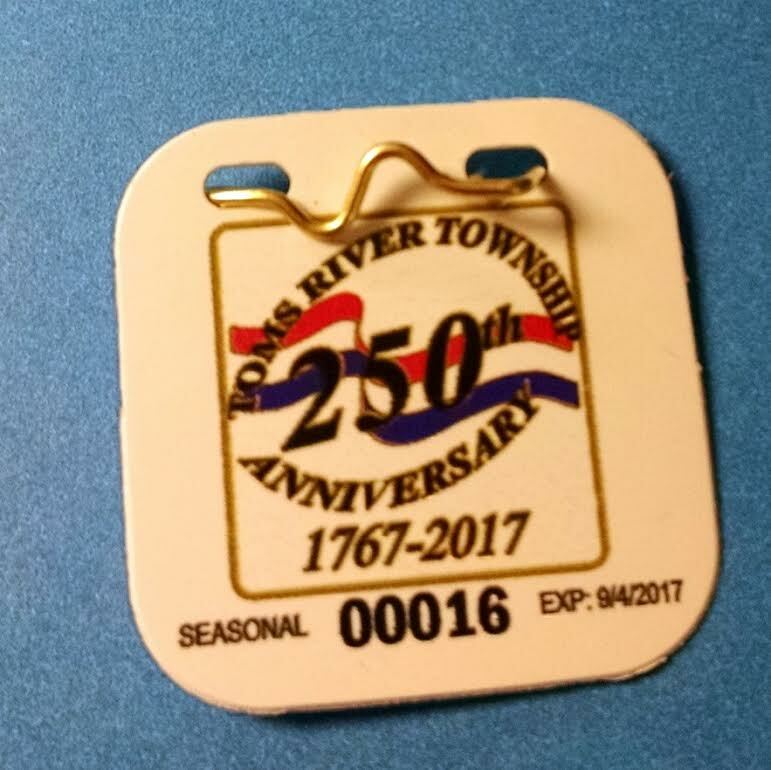 To celebrate the Township’s 250th anniversary this year, the badges were created with a special 250th logo. Badges can be purchased at the Recreation Administration Office, 1810 Warren Point Road, or the Toms River Senior Center located at 652 Garfield Avenue, Monday through Friday, 9 a.m. to 4 p.m.
Fees are waived for all active U.S. military, military reservists and military retirees, their spouses or civil union partners and dependent children. You must present a valid military identification card to receive your beach badge.